Lakai Limited Footwear is proud to present its latest release, The Lakai EVO. 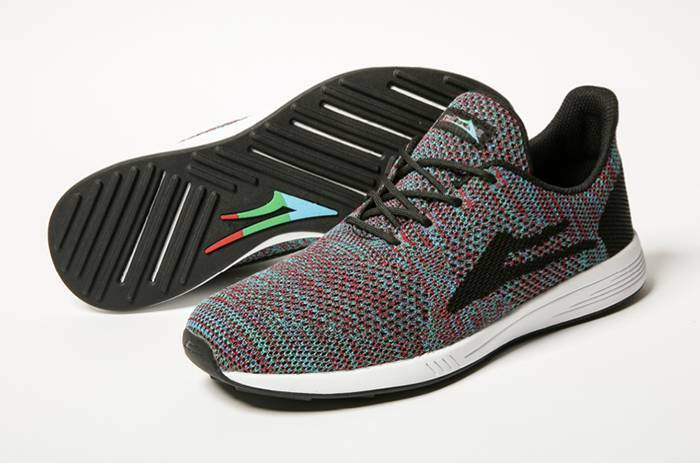 The EVO is constructed with our breathable FlareknitTM multi-woven, one-piece upper. Along with an arch supporting foam midsole, traction rubber outsole, and a premium memory foam sock liner, the EVO is Lakai’s most comfortable shoe to date. This shoe is the first of its kind from Lakai, and is kicking off our “After Skate” category of footwear, stemming from the idea that skateboarders simply do not wear skate shoes 100% of the time. They need a shoe that takes care of their feet while not on their board. With that thought in mind, this shoe has been built with every concern for our professional team’s need of both comfort and function. The EVO is available now at Lakai retailers worldwide and on the Lakai website.